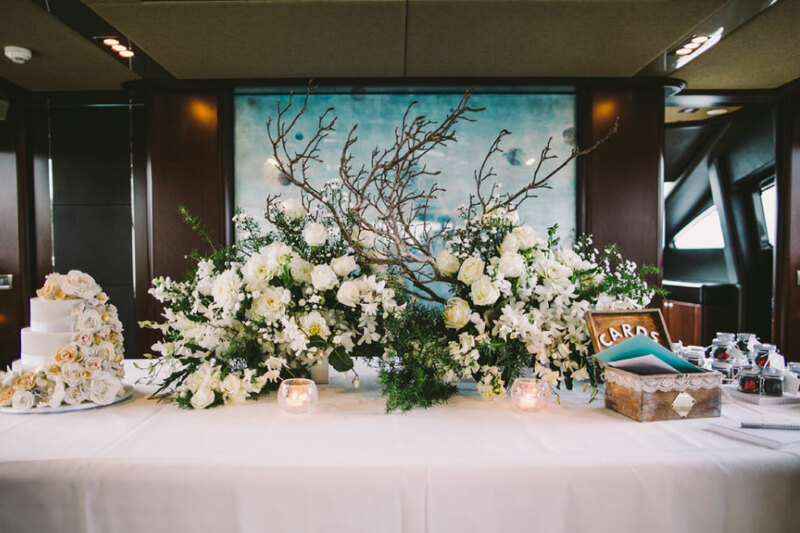 Sydney Harbour Luxe Charters provides a full event management service including complete styling for your harbour event. We know each vessel from back to front and understand the logistics of styling each and every vessel in our fleet. Tie your harbour charter together with our onboard styling services! When you hire a vessel on Sydney Harbour, why not go the extra mile and impress your guests by including our expert styling services. It can be as little as floral arrangements to add sophistication to including vessel decals of your company logo for corporate events. Our vision is to create beautiful, inspiring and original events, whether it be corporate or weddings, by using our stunning collection of bespoke furniture and décor. If styling is required for your event, we will work closely with you to deliver a design proposal based on your requirements. Whether it’s a small birthday party or a conference for 300, we will take care of your every need. Not only do we style your event but also take care of the entire process, from liaising with all suppliers to bumping in & out. Leaving you completely stress free – this is our promise to you.